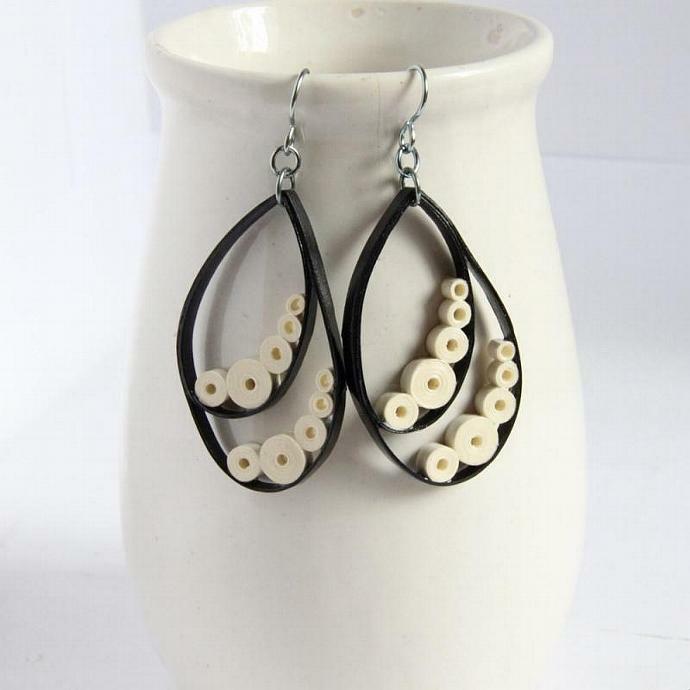 These fabulous teardrop earrings are eco friendly and handcrafted by the art of paper quilling. 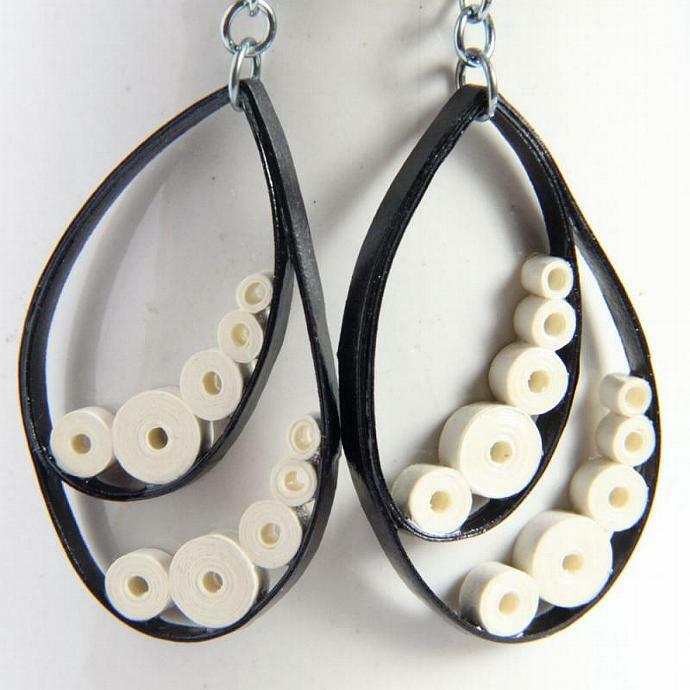 I chose the classic combination of black and ivory quilling papers to make this lovely pair. It reminds me of the song, "Ebony and Ivory". 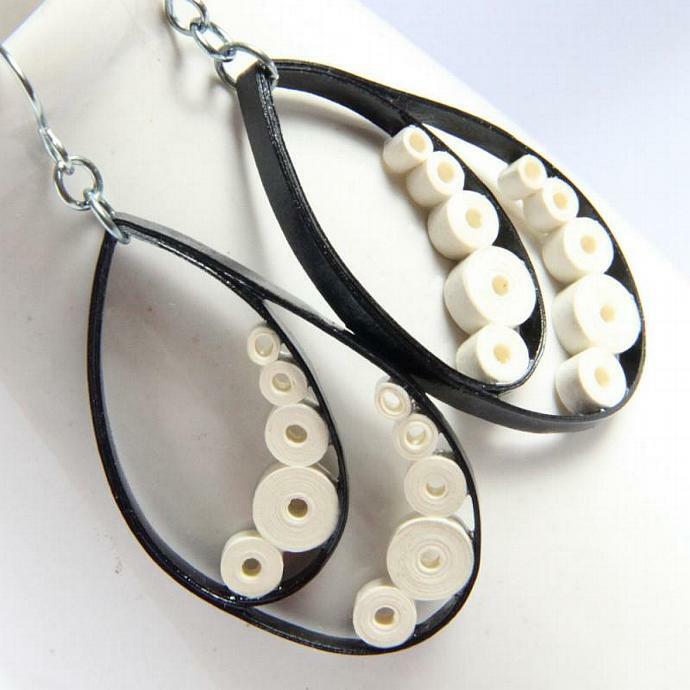 *note* this listing is for a MADE TO ORDER pair of earrings, as the pictured ones have been sold. Yours will be the same pattern and colors (unless you request different colors) but may have slight differences as they are each handmade. 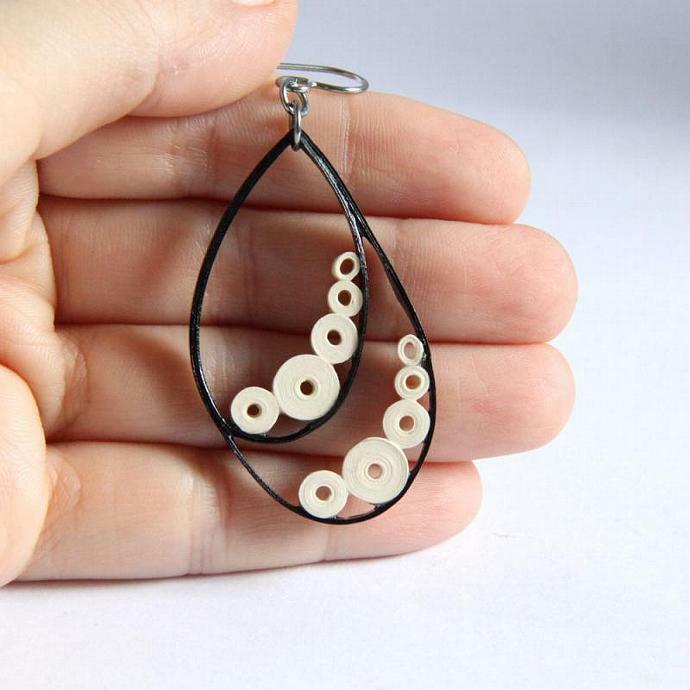 Each earring measures almost 2" (5cm) long not including the jumprings or earwires.